Another El Niño is Likely on its Way! A winter return for El Niño? It’s been a few years since one reared its ugly head, but from what forecasters are seeing in and above the Pacific Ocean, there’s a good chance El Niño will be back for this coming winter. Based on the latest update from forecasters with NOAA’s Climate Prediction Center, dated August 9, there is now at least a 60 per cent chance that El Niño conditions will develop in the equatorial Pacific during the autumn months (September through December), and over a 70 per cent chance they will develop by winter (November through February). As such, the El Niño Watch issued by NOAA forecasters remains in effect. 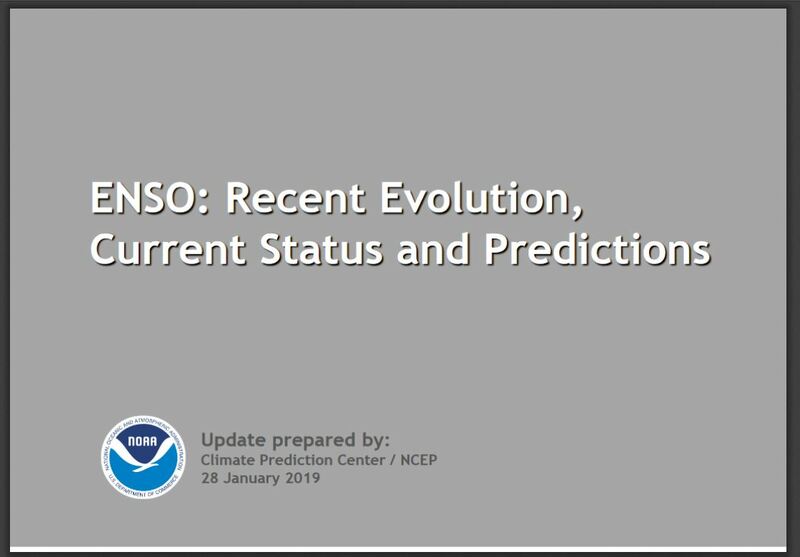 Whenever we talk about an El Niño developing, the discussion turns to the obvious question – how strong will it be? Throughout 2015, we saw the development of a ‘super’ El Niño – which is now considered the strongest El Niño on record, even stronger than the infamous El Niño of 1997-1998. 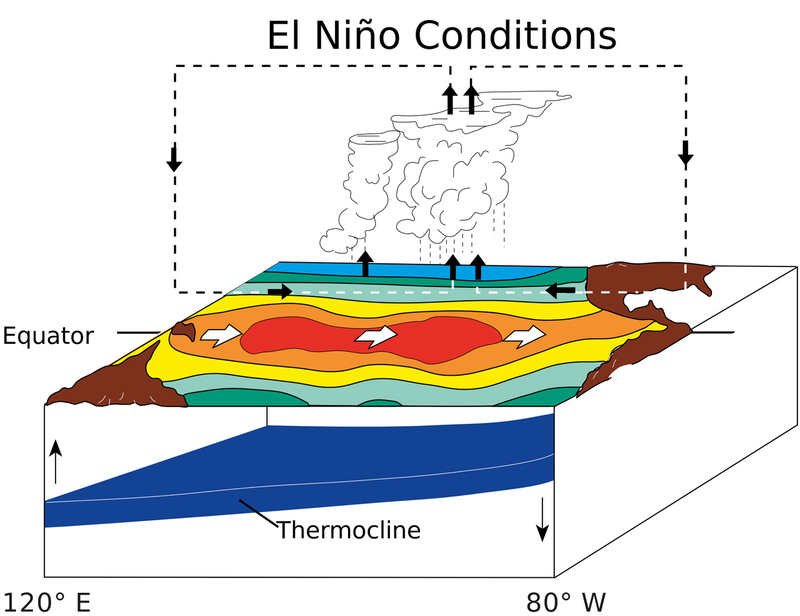 The strength of an El Niño is ranked based on how warm it gets in the surface waters of the central equatorial Pacific Ocean, compared to the normal temperatures measured there. If the waters in this ‘Niño 3.4’ region reach just half a degree (0.5°C) above normal, at least, for a period of three months, this is the breakpoint for what forecasters consider to be El Niño conditions. Since it takes some time for changing conditions in the central Pacific to spread their influence to elsewhere in the world, forecasters wait until they see three (3) consecutive three-month periods where Niño 3.4 temperatures are above that breakpoint, before they state that an official El Niño is in progress. The higher that Niño 3.4 temperature anomaly goes, and the longer the conditions persist, the more extreme the El Niño is. From 1997-1998, temperatures in the Niño 3.4 region peaked at 2.4°C above normal, and they remained above 0.5°C for a total of 13 three-month periods – from April-May-June of 1997 to April-May-June of 1998. In 2015, the super El Niño peaked even higher, at +2.6°C in the Niño 3.4 region, and temperatures there were above the El Niño threshold for 19 three-month periods – from October-November-December of 2014, all the way until April-May-June of 2016. According to the latest collection of computer model runs, rather than another ‘super’ El Niño, we will likely see a ‘weak to moderate’ one, where temperatures in the central equatorial Pacific could reach between 0.5°C and 1.5°C above normal. Forecasts are issued on a monthly basis, so this may change – going weaker or stronger – so watch for any updates to come. El Niño, the warm phase of the El Niño-Southern Oscillation (ENSO), is a regular climate pattern that develops along and above the equatorial Pacific Ocean. Normally, conditions in that part of the world see strong trade winds, blowing east to west, which push warm surface waters along with them, causing them to ‘pile up’ around Indonesia and northern Australia. Periodically, these trade winds weaken, and the whole system ‘relaxes’, allowing those warm waters to slosh back towards the central and eastern equatorial Pacific. This arrival of warm waters off the coast of Ecuador and Peru typically happened in late December, and thus the pattern was named El Niño, or The Child, in reference to Christmas. This occurs roughly every three to five years, and individual El Niño events are separated by periods of normal (or ‘neutral’) conditions, or by cold La Niña patterns, which have a similar pattern to the normal conditions (warm in the western central Pacific and cool in the east), but ramped up to more of an extreme. When an El Niño develops, all that warm water sloshing back towards the east changes the weather patterns over wide regions of the planet. 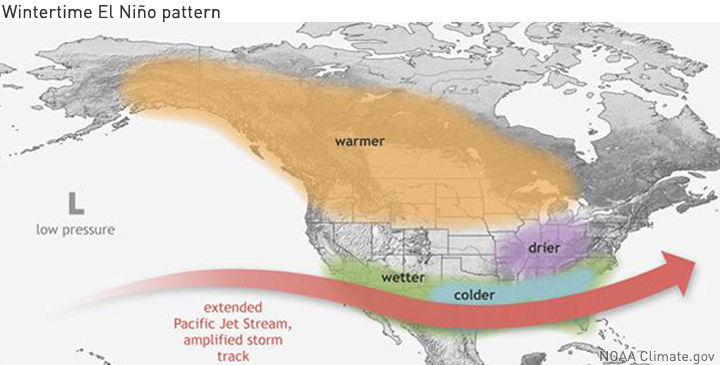 Typically, it means a warmer winter for parts of Canada, as the added heat shifts weather patterns over and around North America further north and east for the duration of the event. 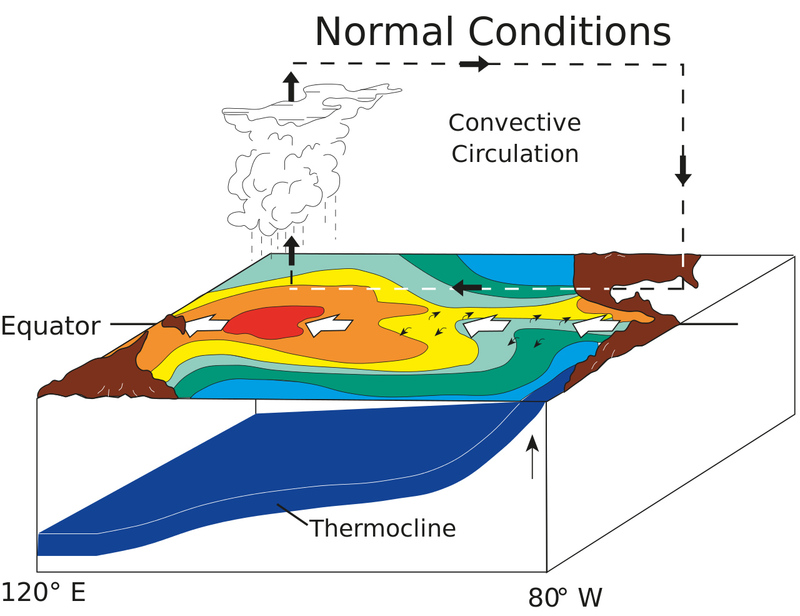 The effects of each El Niño are different, however, as stronger or weaker patterns have a greater or lesser impact on the weather, and other large climate patterns (such as the North Atlantic Oscillation) exert their own influences. When you are a commercial property owner, it is understandable that you want to find one or more ways to lower your energy bills. After all, your heating and electricity payments take a big bite out of your monthly budget. But when you are searching for methods to reduce those bills significantly, do not fall prey to myths or out and out untruths about how to adapt to use less energy. If you do not look at the many suggestions out there in an intelligent way and use your critical thinking skills, you may not only fail to reduce your heating and light bills, but you may also damage expensive appliances or run afoul of local rules and regulations. 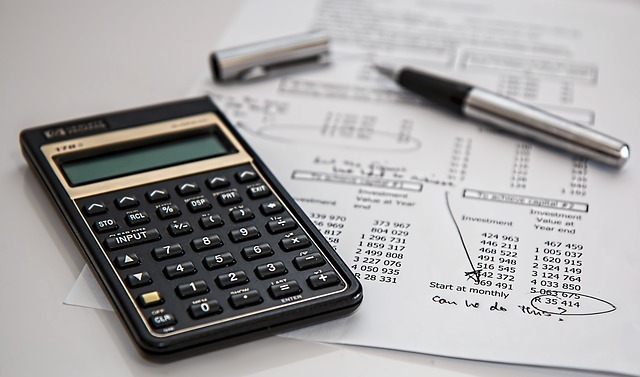 Let’s take a look at a few suggestions you may have considered following to rein in your monthly finances to see if you will reap the intended benefits. When there was no central heating available it is certain that people used fireplaces to warm their dwellings. What you may not realize is that heating with a fireplace is generally not a very energy efficient way to accomplish that goal. In order for the fire to burn without loading the air around you with noxious gases and particulates, your flue and chimney system uses a flap called a damper to keep outdoor air flowing into the fireplace. If the damper is closed, the smoke will not have an outlet — perhaps a situation you have experienced when starting a fire without checking that it is open. The cold air entering causes your HVAC system to work even harder and uses more fuel when you tend a fire in your fireplace. You may feel warm and toasty, but other areas are cold and your heat pump, furnace, or boiler kicks in more frequently to compensate. The result? A higher heat bill. Many people will try to convince you your freezer will operate better, and more cheaply, in a unheated garage. In addition to this making no sense at the height of summer when the freezer runs endlessly to block the heat, storing it in an unfinished and heated area has other problems. The significant swings in temperature year-round mean your freezer is always working hard to stabilize the temperature for the items inside. You risk burning out the motor or damaging the coil when the temperatures are too extreme. It is best to keep your freezer in a cool area with fairly constant temperatures like your basement. It will last longer and the mechanical system will not cycle on and off which costs you more money. A ceiling fan is a great help to people gathered in the room within which it is operating. Its cooling effect is based on evaporating moisture from your skin, making you feel much more comfortable. When no one is in the room, however that effect disappears. If you run a fan constantly in an unoccupied room the temperature will not be affected and will do nothing to help cool areas. So, turn the fan off until you enter the room. This will reduce energy use and focus the energy you do use to a time and situation where the fan will actually do its job of making you and others feel cooler. If you raise the temperature setting on your thermostat higher than a comfortable level you will not heat your building faster. All you will accomplish is requiring the furnace or other heat sources to run constantly, using more energy. Set it to a comfort level you prefer, and consider a timer so the heating level you need rather than trying to compensate. When your electronics are in their “off” mode they can still be using a trickle of power. This phenomenon is known as standby power, and when allowed to continue over days, weeks, and months raises your overall energy costs. Unplug rather than shut off electronics to ensure that you are not increasing your costs. A similar conundrum occurs when you reason that keeping your computer or other electronics on is more energy efficient than rebooting it every time you want to use it. The “re-entry” into operational mode is much less of an energy drag than in the past, so you will actually save electricity, and money if you turn your computer off between uses. HVAC Systems Work Best When Vents Are Closed — Or Open? Closing a vent in the hop the room affected will not be heated or cooled seems to make sense. Depending on how your HVAC system works, constantly managing vents will actually use more energy as the configuration works harder when the flow of air is blocked even in just one space. Do you need a reliable commercial roofer? 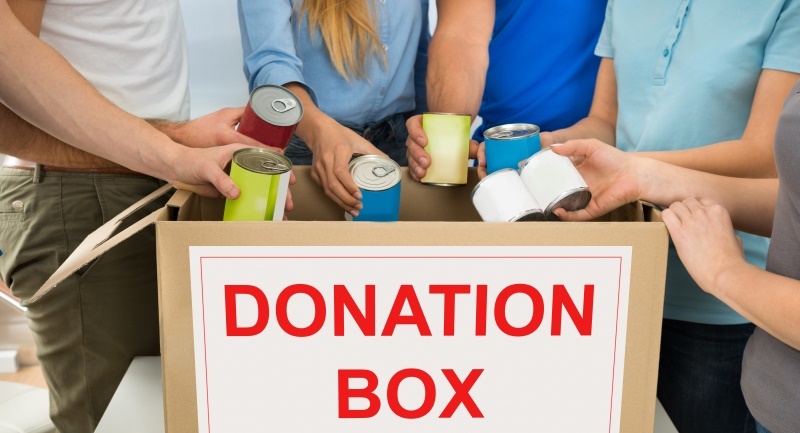 ADCO’s 2nd Annual Food Drive – You Can Help Too! 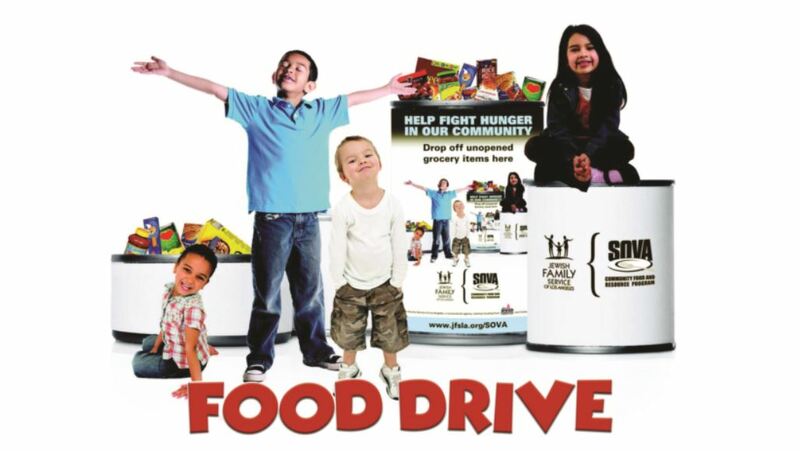 Our 2nd Annual Food Donation Campaign for the SOVA Community Food and Resource Program begins today. Thousands of men, woman, and children struggle with hunger and rely on food banks. This program responds to hunger in our community by providing children and their families with resources they need, including free groceries, case management, counseling, and other supportive services. You can drop off your donations at either of our office locations, from 8AM to 5PM M-F. If you can’t drive to us, we can arrange a pick up from your location. If you need any collection bins, we’ll be more than happy to bring them to you. ADCO WILL WEIGHT MATCH ALL DONATIONS! We also welcome other non-perishable foods, personal hygiene items and children’s books. How Do Green Roofs Create Value? Discover all the positive effects a green roof can have for energy costs, ecology, community and well-being. Read on to find out about the convenience of vegetation blankets, for rapid installation of a full-coverage green roof requiring negligible maintenance. Your green roof will contribute to purifying and de-polluting the air, producing oxygen out of carbon dioxide and filtering particulates. It purifies rainwater too, and facilitates evaporation from the plants. The plants and the substrate and drainage layers around them also provide a rainwater buffer. This has benefits for the local groundwater and sewage systems, delaying rainwater discharge and reducing the load and risk of flooding after heavy rainfall. The plants on a green roof reduce the ambient temperature. They absorb one half of the sunlight that reaches them, and reflect another 30%. That makes a pleasantly cool climate, reducing temperature in the building’s immediate neighborhood. Inside, the building’s cool air systems have less work to do, reducing energy bills and extending the life of your air conditioning. And if you use solar panels already, or take the opportunity to install them with your green roof, you’ll find the cooler roof surface provides conditions for the panels to operate more efficiently. Energy is channeled into your power supply instead of being lost as heat, and your energy costs are further reduced. Upgrading to a green roof won’t just preserve your aircon. It could triple the lifetime of the roof itself. Protected from the strongest sun, rain, temperature extremes and wind the weather can throw at it, a roof structure can be good for 60 years. In maintenance costs alone, a green roof can recoup your investment in as little as 8 years. A green roof will act as a sound barrier, absorbing external noise with particular appeal in urban areas. It makes for a quieter environment outside as well as within the building. It’s a more relaxing space that promotes well-being. Greenery offers a positive environment that encourages people to unwind and reduce their stress level, whether it’s at the end of the working day or for convalescent patients. People can tolerate pain a little more in a healing, green environment and require a shorter stay at the hospital. Plants, herbs and grasses in a green roof encourage biodiversity. It provides a habitat for birds, butterflies and other insects and will attract more life than any gray, concrete and glass building. Everyone living in a green environment has a higher perception of their space and quality of daily life. They’ll naturally work together to maintain it. An environment people take pride in has positive social effects: more interaction and cohesion in the community. Greener areas are proven to suffer less violence, aggression and vandalism. Direct-green mats pre-cultivated with greenery are delivered with 90% coverage, way quicker and easier to install than establishing a green roof with individual plug plants. An attractive green roof can be realized in a very short time. Vegetation blankets bring great benefits going forward too. They make a solid top layer for the green roof that resists erosion, protecting substrate from blowing away in a storm. The nearly-full coverage means weeds struggle to get established, and very little effort and cost is required for maintenance. A building with a green roof gains an attractive appearance with much more appeal than grey, man-made structures. Its strong, sustainable image adds value, as do the reduced energy and maintenance bills. 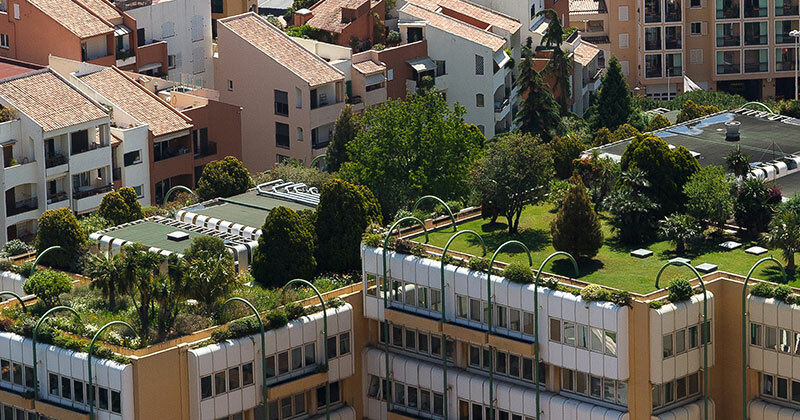 A green roof brings much more than just visual appeal to your property. It’s a sound economic investment which brings multiple savings in energy costs, maintenance and repair costs. You and other residents will benefit from clearer, cooler air, reduced noise and better climate proofing. And a green roof gives back to the local area, encouraging biodiversity and doing its bit to regulate the wastewater supply and ambient temperature. Do you want to build a green roof? Even if you have a high quality roof, which will protect your home for a couple of decades, they do not last forever. You should always have regular inspections by a roofing contractor as well as periodic maintenance. Contractors can let you know when you can expect to have to replace the roof. Regular maintenance is the best way to ensure your roof lasts a long time but there are six key factors that determine how soon and how often your roof may need repair or replacement. Each roofing material has different endurance and offers different life expectancy. If you have asphalt shingles you can expect the roof to last a few decades. The materials that provide even longer cover include clay or concrete tiles, slate shingles and membrane systems. When it comes time to replace your roof, consider using materials that have longer life expectancy. Work with you roofing contractor to determine the best materials to use for your building and local environment. Not something you can control but can be prepared for is the weather. Most systems are designed to endure heavy rains, strong winds even snow and hail, but this does wear them down. Extreme weather conditions can really take their toll on your roof, so depending on where you live your roof may be exposed to severe conditions that damage the structural integrity. Consider the climate you live in and keep your roof maintained accordingly. Perhaps check with local contractors for protective tips if you live in areas prone to harsh weather. The damaging UV rays of the sun can hurt your roof just like they hurt us. Some materials like metal or EPDM rubber membranes are more resistant to the ultraviolet exposure. Most roofing material will degrade with the repeated radiation. Continued sun exposure weakens the structural integrity of a roof by heating it. This causes thermal shock to the materials as well as contraction and expansion. Once this happens, the material degradation is accelerated causing roof repair and replacement to be sooner than expected. Since the sun is not something you can control, it is advised to check with professional roofers for any tips or protective additions that can be utilized. Longevity of a roof is also affected by its pitch or angle. Roofs that are flat and low do not get rid of water easily so it builds up. When rain or snow are allowed to accumulate on the surface it starts to wear away the materials. Pools of water cause the materials to lose strength which can cause leakages. A good way to offset the damage is to install gutter systems and make sure they are kept clear of debris build up, so they can efficiently remove water away from the roof. Every building should have proper ventilation. Regular air circulation through the house and attic prevents moisture from accumulating and also reduces the external temperature. When ventilation is poor, roof materials are weakened and not as effective. It is wise to consider which option works out better in the long run, replacing materials more frequently or investing in a good air ventialation system. A quality installation goes a long way in roofing. When cheap or inexperienced roofers are used it is not uncommon for there to be premature repairs and replacement. While you save money in the beginning, you will have unexpected costs with leaks and other damage that occurs without proper installation. The use of lower quality materials also contributes to early degradation. You want to be sure you hire a licensed professional that uses high quality materials and ensures their work is up to all codes. In the event a genuine error occurs, professional contractors are always willing to return and make it right. Roofing repairs and replacement is not cheap, so you want to make sure you get the most out of the roof you have. By investing the time to care for it and considering the above factors, you can expect to get more longevity from your roof. Would You Trust a Drone Service for Your Roof Inspection? You really shouldn’t invest in a new building or home until you’ve had a roof inspection, even if you think you’ve found the one. 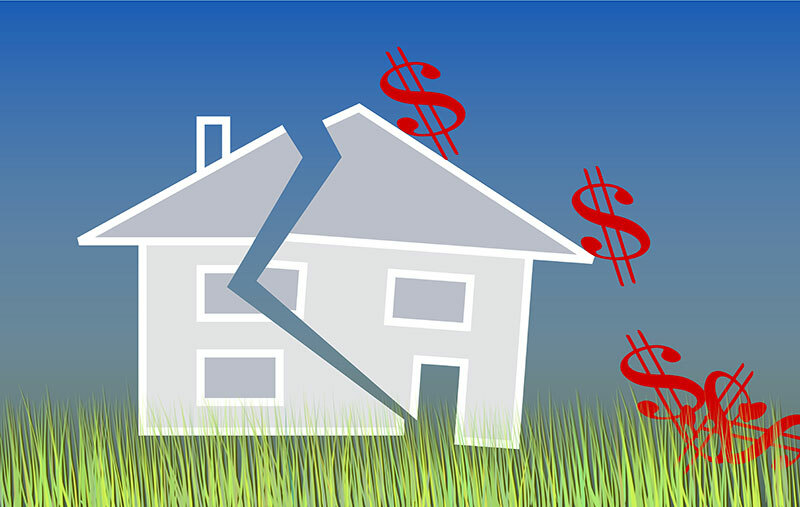 You don’t want to buy a building or home with weak or damaged roofing, then find yourself with hefty bills to repair leaks and structural damage. One of the latest technologies inspectors are often using to evaluate a roof involves using a drone. But roofing contractors perform this importantl task differently, preferring a close-up, hands-on examination. Can you trust a drone inspection? Or should you hire a roofing contractor instead? Many home inspectors today don’t actually get up on the roof to check its condition. And many of those who do climb up may stay on the ladder and look at the roof from there. The high cost of liability insurance is the most common reason cited for this worrisome trend. So to avoid injury to the inspector — and to prevent damage to the building — many roof inspections are performed with a drone. How does that work? A drone pilot flies a helicopter-like machine, that’s outfitted with a camera. The drone can be adjusted to view different angles, and it can hover to zoom in on selected areas on the roof. As the drone flies, it takes photographs and videos to allow the inspector to evaluate the roof’s condition. A professional contractor doesn’t rely on drone photos or videos to determine the structural integrity of your roof. Roofing contractors actually climb up on the roof to look at the roofing materials, underlayment and, if applicable, the roof decking itself. During a professional roof inspection, the contractor also evaluates the condition of the flashing around the chimneys and vents as well as the soundness of the rain gutters, drains and downspouts. He also examines the deck and structural supports from the attic side. A drone inspection gives results that are easy for inspectors to review. And pictures or videos often speak louder than words. 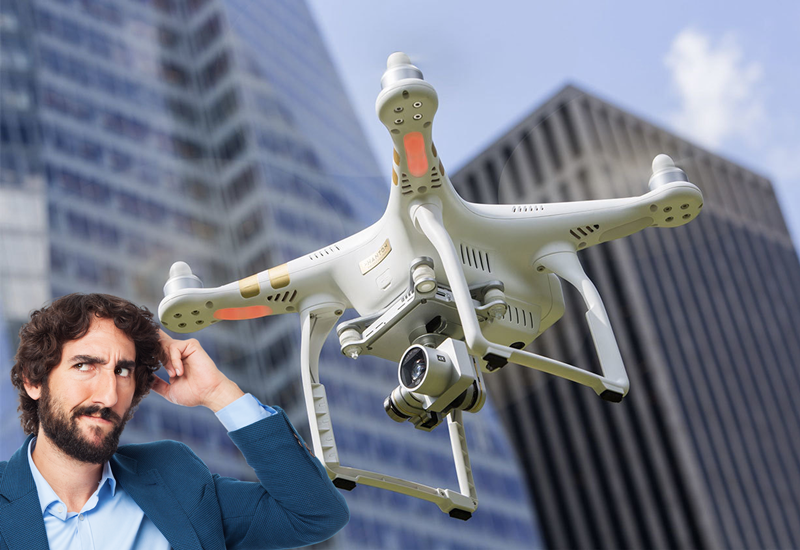 With a drone inspection, buyers and sellers can see any roof damage for themselves. That said, relying on a drone service may not be the best plan. Overhead photos cannot adequately assess any underlayment or deck issues, nor can drones check from inside for water damage or structural support problems. A roofing contractor will perform a much more in-depth analysis of the roof, manually testing the strength and flexibility of the shingles or tiles as well the other materials. Drone pictures can let you see the rooftop, but only a professional roof inspection will provide you a clear view of the structure’s condition. 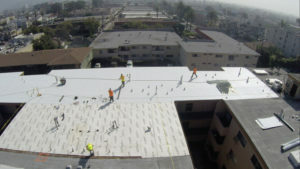 Property buyers and sellers throughout Southern California trust our experts for professional roof inspections. To schedule yours, contact us today. Good roofs are a great investment. Not only do they protect you better from harsh weather but they also make your building more valuable. For this reason, you do not want inexperienced or illegitimate roofers handling the repair of your roofs, and we cannot deny that we live in a world full of scammers, who can come to you claiming to be professional roofing contractors. How do you know that you are dealing with a scam, and what ideas should raise the red flag that you are being scammed? Read on as in this text are some of the signs to tell you that you are dealing with a scam. This is the first tip to tell you that you are dealing with a scam. No roofer should come knocking on your door and offer to repair your roof on the basis that your insurance company will pay for it. After all, how would anyone know about your insurance policy? A reputable roofer should come to your office or home and inspect the damaged roof even before the repair. Moreover, if your insurance company will pay for the expenses, it shouldn’t happen fast and without being notified. You need to be there and sign the documents required before the roofer repairs it. So be aware of storm chasers and do not allow anyone who claims to be a roofer to fix your roof until you can guarantee that the contractor is genuine. You need to be aware of roofers who come claiming that they want to inspect your roof when they do not have the necessary licenses. No roofer should come to you home requesting to examine the extent of the damage, while they cannot tell you the company they work with or if they do not have the licenses. Avoid allowing any roofer to get to the roof as some scammers want to damage your roof so that they have something to repair. Also, do not believe any repair man who comes down with some pictures claiming that that is the extent of damage after inspecting the roof. Some people come along with pictures just to convince you that you need a fast repair so that you do not hesitate to hire them. Some scammers will come and ask to sign your insurance benefits, on the claim that they are well connected with your insurance company and that they can make your compensation fast. Avoid falling a victim of such scams. While this deal may seem great and one to save you much time and money, avoid to accept it. You might end up losing your entire compensation to such people, and even end up losing contact with them. Be wary of a contractor who asks you to sign a contract with them once you meet them. Think about it, why should someone seem to be pressuring you to repair your roof? Maybe, their service quality is not that good, or they do not offer quality material meaning that they just want you to help them earn as they do not get many customers. So, do not sign a contract until you have visited the company’s place of work and even talked with a variety of clients who have benefited from the services of your roofer. Also, do not sign any contract without fully reading and understanding it. Remember, once you sign a contract without agreeing with several issues stated in it, you will be held liable. So, stay away from people who ask you to sign their contract unless you fully agree to it, and you are sure that you are dealing with legit roofers. Reputable roofing contractors always walk with their business cards, licenses, and insurance. So, do not fall prey of people who come requesting to help repair or replace your roof, while they cannot provide you with these documents. How do you prove that such a person is authorized by the state to repair your roofs, and how can you be sure that you will be insured should a damage result? So, if someone who proves to be a roofer cannot prove that he is, do not allow him/her to your roof. Also, if such roofers come with a vehicle that isn’t branded with the company’s name, that should be an indication that they are not legit. This is another trick that scams use. It is no doubt that many homeowners will prefer to hire a contractor who can repair or replace a roof at a low cost, as most people look at the saving factor. However, do you know that you might end up losing more money and even spending more by undertaking such an action? Avoid persons who promise low prices, as this may be an indication that they are not qualified, or that they use inferior materials. You need to research the authenticity of such persons thoroughly. Ask them for references and their certifications. If they cannot provide you any of these, stay away as you do not want to fall a victim. If you come across contractors with these behaviors, you should have the idea that you are probably dealing with a scam. Always be cautious and avoid giving in to such individuals. Do not let promises blind you, as giving in to promising people may just be the beginning of your problems. Take time to assure yourself that you are dealing with reliable people, and only then, sign an agreement. When you’re planning solar panel installation at your home or business, you must make sure that your roof can support your sustainable energy goals. Take these three simple steps before installation of your new photovoltaic array, and you can rest assured that your roof will be ready to support your solar panel installation. Do you know if roof can support the weight of a photovoltaic array? Solar panels are pretty heavy — each weighs about 40 pounds, not including the mounting racks and hardware. To provide enough power for your building, you may need dozens of solar panels. And your roof must have the right structural support in place to bear the weight of all that equipment. The best way to figure out if you have enough structural support is to schedule a roof inspection. A licensed roofing contractor can assess your roof’s condition. If during inspection the roofing contractor finds that your roof has some obvious damages, you need to address those problems now. 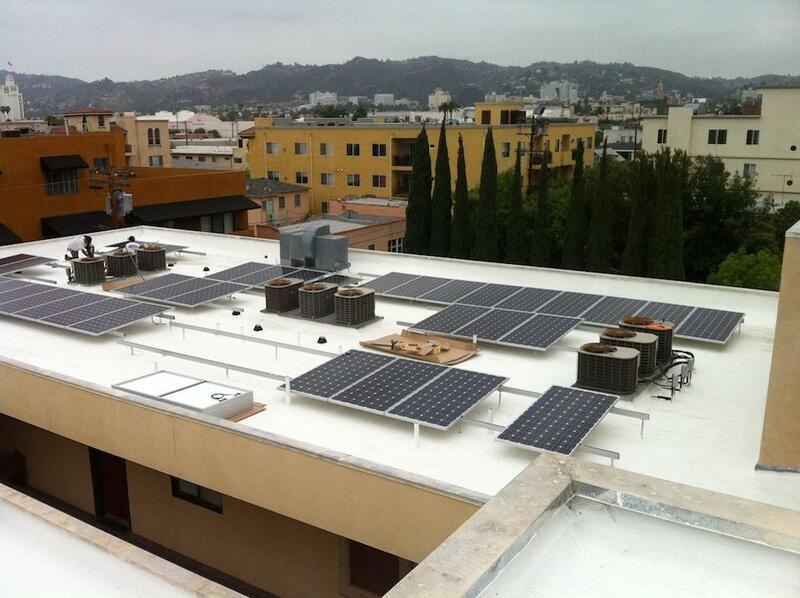 It’s important that you have all repair work done before installing a photovoltaic array. Solar panels last at least 25 years, and most continue to provide power for much longer than that. Therefore, your roof must be in good condition if you want it to last for the life span of your photovoltaic array. Don’t be tempted to skip roof repair if the damage is slight. Small problems can easily grow into big and costly problems over time. And if you need repairs in the future, it will be expensive to remove your photovoltaic array to address the problem. You’ll have to have the solar panels reinstalled, which will cost you even more. Shading can largely affect your photovoltaic array’s output. 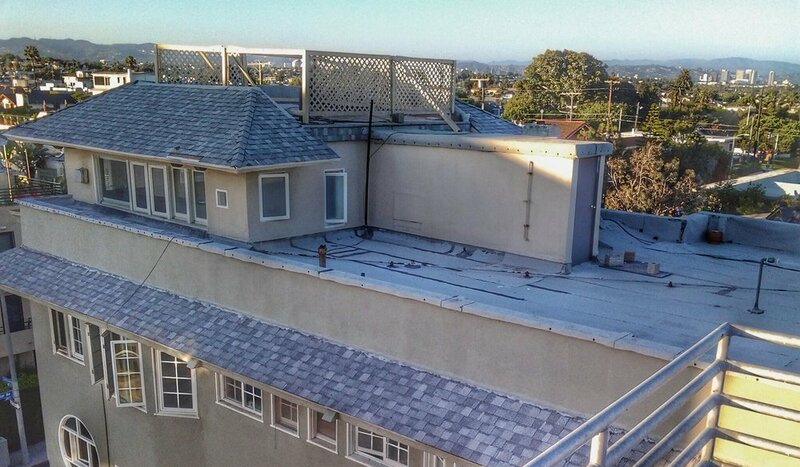 Roof penetrations like chimneys can result in unwanted shading, and they can also interfere with panel placement. To reap the most solar energy production, it’s important to address these issues now rather than later. During your roof inspection, ask your contractor to see if any of the roof fittings or penetrations are likely to affect your solar panels. Some, like antennas and satellite dishes, can usually be moved to a better position if needed. Chimneys and vents can be more difficult to move, but may be possible. Contact us to schedule an inspection to be sure your roof is ready for solar panel installation. Do you need to go up on your commercial roof find out whether you need repairs? You could, but you may not have to go to the trouble. If you learn to recognize indications of a roofing problem, you can detect potential trouble spots. Identifying roofing issues early can keep a small problem from growing to the point where extensive roof repairs or replacement becomes necessary. Walk the perimeter of your building and look at the edge flashing along the roofline. Do you see any gaps or areas that appear to be loose or bent? Damaged flashing can provide rain to seep under the roof membrane, which can cause damage and lead to leaks. Now take a few steps back for a better view. Unless your building has a flat roof, you should be able to see some of the roofing surfaces from the ground — especially if you use binoculars. Look for dips or sags. These can be signs of trouble, as they may indicate that standing water has compressed the insulation. Blistering and bubbling, a sign that water vapor is trapped between layers of the roofing materials, may also indicate a problem. In either case, if moisture continues to penetrate your roof, this can rot and weaken the decking and result in leaks. Interior leaks are obvious indicators that you have roofing damage. However, roof-related water problems aren’t always obvious, especially in the early stages of a problem. You may not see obvious indications of a leak if the water runs down the inside of a wall or drips into an out-of-the-way location. Sometimes, however, you might be able to detect other symptoms of water damage. Mold growth, high humidity and corrosion of electrical or HVAC components in the ceilings can indicate water damage. And new stains on ceiling tiles or walls generally mean you have a leak somewhere. A blocked roof drainage system will generally lead to a problem with your roof. So the next time it rains or snows, take a look to make sure water is draining freely from the roof. Have your heating or cooling costs recently spiked for no apparent reason? If the bigger bills aren’t related to increased utility rates or extra energy consumption, they could be related to a roof problem. If water has entered and saturated the building’s insulation, thermal efficiency will decline. When that happens, the facility will require more energy to heat and cool the building. Consequently, utility costs increase. Even though your building may be telling you that the roof is damaged, the only way to know for sure is by having a professional inspection done. At ADCO we have extensive experience with commercial roof repairs and replacements. Contact us today to schedule your commercial roof inspection.